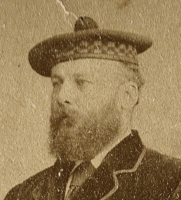 John Macgregor was the second son of John Macgregor of Finnart and Margaret Fleming. He was born on 13th April 1843, in City Parish, Glasgow, Lanarkshire. Peter Macgregor and Robert Pearce were witnesses at the christening. His father was one of the joint proprietors of the shipyard Tod and Macgregor in Meadowside, Partick. He is described in the 1851 Census as “Scholar” and was living with the family at Meadowside House, Partick at this time. Prior to 1863 he had set up a firm "Duncan and Macgregor", which built iron ships. In that year the Greenock Advertiser carried a notice that the partnership had spent £9,500 to purchase an "extensive premises" in Greenock. A third partner, John Hamilton, joined and the business was set up. Robert Duncan was the son of a Greenock shipbuilder. He was a manager in Smith and Rodger in Govan. John Hamilton had worked at Robert Barclay and Curle at Stobcross. He married Sarah Jane Hicks, on 20th June 1865 at the Church of St Bartholomew, Barrhill Road, (Gourock), Renfrewshire, Scotland. She was born in 1836 the daughter of master mariner Thomas James Hicks and Martha Thomas. 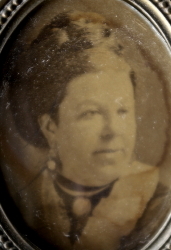 Sarah Jane had previously been married to Matthew Lindsay Inglis on 20th September 1853. Matthew Inglis died from "Apoplexy" on the 9th of October 1861. · John Macgregor: Born 25th July 1866, at Annfield House, Kirn, Dunoon, Argyle, Scotland. Found in 1881 at Barrs Brae, Wood Bank, Port Glasgow; a scholar living with his cousin, David Inglis. · James Wingate Macgregor: Born 8th November 1867, at Ross Bank, Port Glasgow, Renfrewshire, Scotland. · Amy McArthur Macgregor: Born 29th January 1869 in Annfield House, Kirn, Dunoon, Argyle, Scotland. · Allister Hicks Macgregor: Born 15th April 1870 at Annfield House, Kirn, Dunoon, Argyle, Scotland. · Edwin Yorke Macgregor: Born 7th June 1873, at Annfield House, Kirn, Dunoon, Argyle, Scotland. · Ethel Sarah Macgregor: Born 4th October 1876 at Annfield House, Kirn, Dunoon, Argyle, Scotland. The family lived at Annfield House, Kirn, Dunoon, Argyle, although John remained a shipbuilder in Greenock, probably commuting between Kirn and Greenock. He retired around 1870 at which time Robert Duncan emerged as the sole partner. The seven years of John Macgregor's involvement created and built a close relationship with the Anchor Line, which lasted until Tod & Macgregor was taken over by the Henderson brothers and the construction of thir ships was moved to this yard. In the 1871 census, John was found at Annfield House, Kirn with Sarah, and their four eldest children, as well as David Inglis from Sara's first marriage. Where the other children from the first marriage were, is a mystery. There were also four servants including two described as "nurses". Sarah Jane died on the 18th September 1880 at the family home in Dunoon of Hepatic Disease. In 1881 John was living as a widower at 4 Jews Walk, Upper Sydenham, Lewisham, with his five youngest children and four servants. A view of 4 Jews Walk as it is now. It is near Crystal Palace. John died of Chronic Hepatitis at Rouge Bouillon, St Helier, Jersey, on the 18th of March 1882. He was described on his death certificate as "a Gentleman". In 1890 at Amy and Ethel emigrated to Canada. James and Edwin emigrated as well, probably at the same time. It is possible that the two other brothers also emigrated at the same time.